Known for its sparkling blue Caribbean shoreline and lush jungle rainforest, Belize is a tropical treasure. But, what exactly keeps visitors coming back year after year to Belize? The answer is simple really: its people. What was once a British colony that gained independence in 1981, Belize is neighbored by several Spanish Central American countries to the west and the Belize Barrier Reef along the Caribbean to the east positioning Belize as a true melting point of various cultures. As a small nation with a little over 350,000 residents, Belize is rich with different ethnic groups such as Maya, Mestizo, Creole, Garifuna, Mennonite, Chinese, East Indian, and Lebanese all of which harmoniously co-exist by bringing distinct parts of their culture to Belize whether that be in the form of language, art, music, or food. So, what’s the best way to experience the vibrant Belize culture? Well, there’s almost always something happening. Visitors can take part in one of the many festivals, national holidays, and events to witness the very best of Belize. 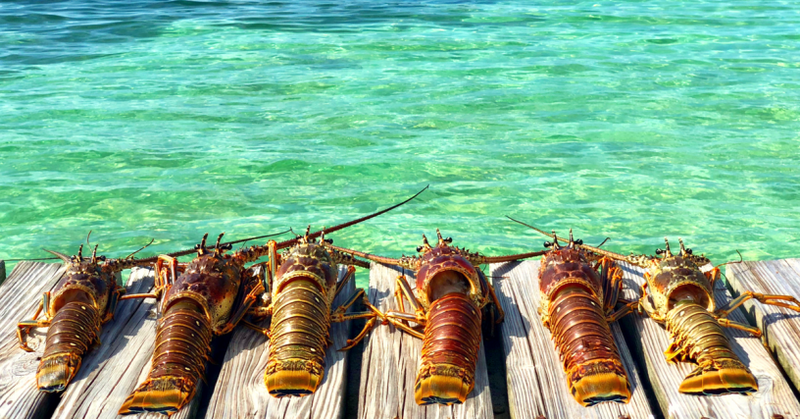 Summer in Belize kicks off with annual lobster festivals held in the major coastal towns of Belize. These weekend long beach festivals celebrate lobster in all its glory by cooking all sorts of fresh lobster delicacies and ending the day with live music and beach parties. In general, the tropical climate of summer in Belize marks the opening of various foods coming into season and lobster is no different. 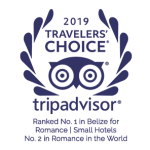 At Coco Plum Island Resort, we host Lobster Fest on different dates in June and July. What starts with a morning of lobster hunting ends with cooking your fresh catch of the day served in the form of a three-course meal. Bar snacks include a wide variety of lobster cooked in almost any way you can think of including: lobster fritters, lobster ceviche, lobster bruschetta and many more. Enjoy live entertainment by local drummers and dancers along with friendly competitions hosted by Lord Byron. 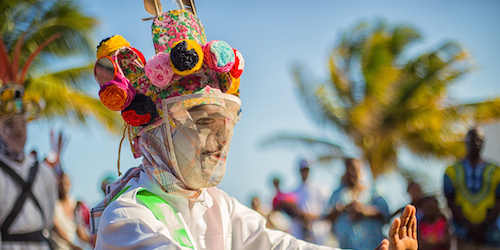 You don’t want to miss this explosion of Belizean culture. Dates for 2018 Lobster Fest: June 20, June 27, July 4, and July 11. Did you know that Belize is home to over 20 varieties of mangoes? Number Eleven Mangoes, Julie Mangoes, Blue Mangoes, Thundershock Mangoes – you name it and Belize has it. As mangoes begin coming into season throughout the country of Belize, you’ll see many locals cooling down with a refreshing mango on the street side, riverbanks, or on the beach. Most locals eat the mango hole, tearing the skin with their teeth; others also mix the mangoes with a specialty “sauce” made up of salt, black pepper, and habanero pepper. As a matter of fact, Belizeans take their mangoes so seriously that they have dedicated an entire festival for mangoes in Hopkins, Belize! The annual Mango Festival is held at the start of the mango season usually in the beginning of June. Our sister resort, Belizean Dreams, participates in this annual festival with its own booth complete with an assortment of juicy mangoes, mango smoothies, and games. The entire month of September is filled with joyous celebrations as Belizeans around the country honor their independence marked on September 21, 1981. Patriotism is at an all time high as you can expect to see streets, houses, and businesses all decorated in red, white, and blue colors with Belizeans proudly waving their flags. It is not uncommon to witness block parties, national pageants, and children’s parade through the street. One pageant in particular, the Queen of the Bay National Pageant, dates back to 1946 when Belize was still a British commonwealth nation. This pageant is held every year on the September 10th national holiday that commemorates Belize’s original independence from Spain at the Battle of St. George’s Caye in 1738. It is rooted in tradition and each year hosts a specific national theme unique to Belize. Coco Plum Island Resort and Belizean Dreams Resort are proud community sponsors of the past two Queen of the Bay winners reigning from Dangriga. The culmination of September celebrations ends with the Carnival March in Belize City as parades line the entire city with participants dressed in colorful Caribbean colors dancing through the streets! Garifuna Settlement Day is a Belizean national holiday held on November 19th of each year commemorating the arrival of the Garifuna people to Belize in the early 1800’s after being exiled from the neighboring Caribbean islands. Regarded as a mixture of African slaves and Arawak Indians, the Garifuna people make up a special part of Belize’s population. Towns like Dangriga and Hopkins are the hubs of the cultural celebration throughout the month of November. Imagine witnessing scenes of drumming, dancing, and local street food as you excitedly learn about this rich culture. On the eve of November 19th, the streets close down for an all night party. Residents wait for the arrival of the yurumei in the early morning as local Garifuna people reenact the original arrival along the shores of Belize in wooden canoes. It’s truly a sight to behold! The actual day of November 19th ends with a parade in Dangriga Town. In the past, Coco Plum Island & Belizean Dreams has had its own float for employees to take part in the festivities! You too can partake in the activities as Coco Plum Island will be offering live drumming and dancing weekly on every Monday in November. Christmas in Belize is rooted in various cultural and religious traditions. Specifically, in Dangriga Town locals gather around the streets to witness the Jankunu or “John Canoe” dancing accompanied with Garifuna drumming. This colorful masquerade dance is actually a warrior dance where the males are outfitted in pink masks and head wraps, white clothing, and seashells below the knees that shake artfully with each movement. This dance is a careful act that represents the Garifuna resistance to slavery with a special meaning behind each movement. Today, Dangriga is home to the annual Jankunu Festival hosted at the Ecumenical High School where senior Jankunu groups compete against each other. Each group practices the routine for several days and always gives a memorable performance. All Belizeans look forward to the festive cheer the Christmas season brings! The Jankunu Festival usually occurs after Christmas each year. So, what are you waiting for? 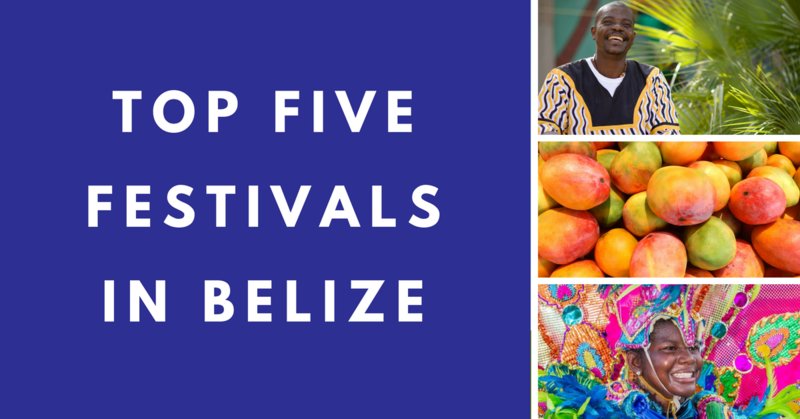 Book your flight and head down to Belize to experience one of our many festivals!